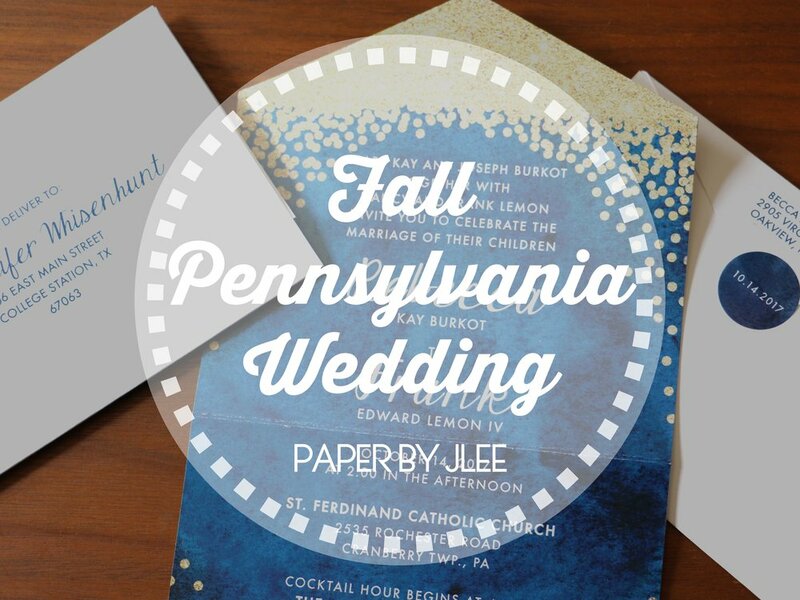 We have another set of fall wedding invitations for you this month! 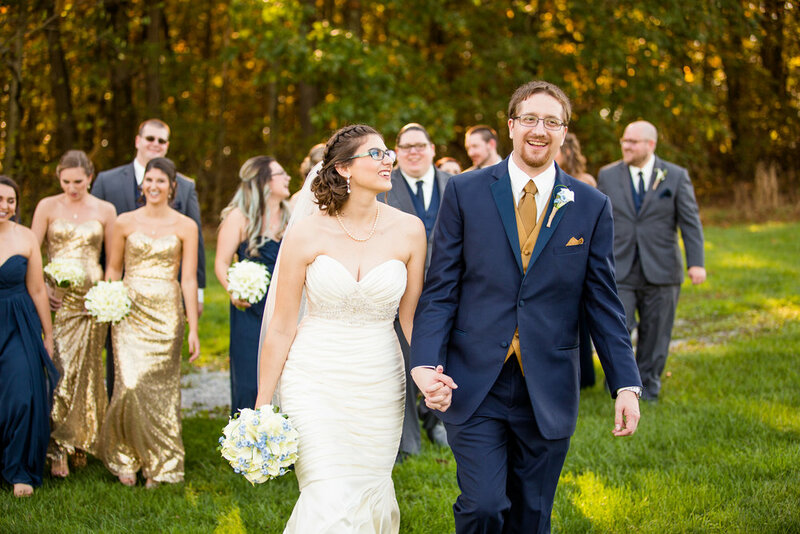 This wedding took place in Cranberry Township, Pennsylvania at the bride's home church. 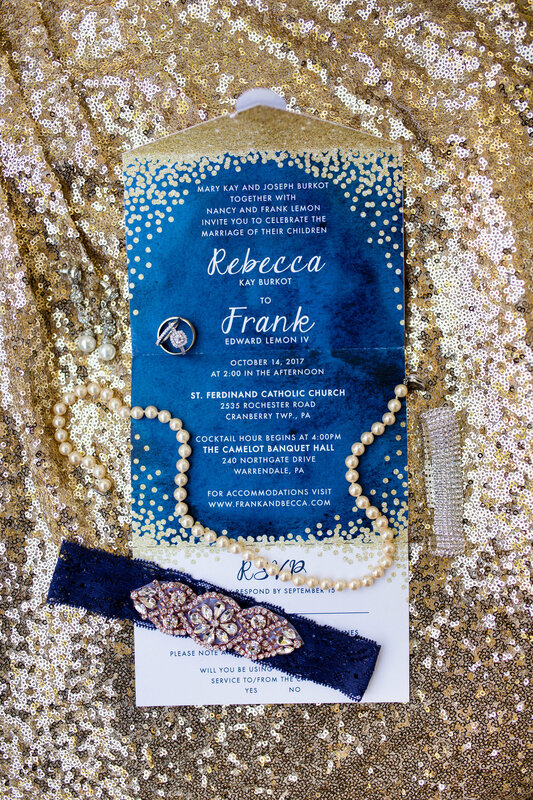 The wedding colors were a gorgeous mix of navy and gold so we worked hard to create a custom invitation that would showcase this really beautiful color combination. The couple wanted an all-in-one set where the entire invitation is one sheet of paper that is folded over and shipped as one piece. 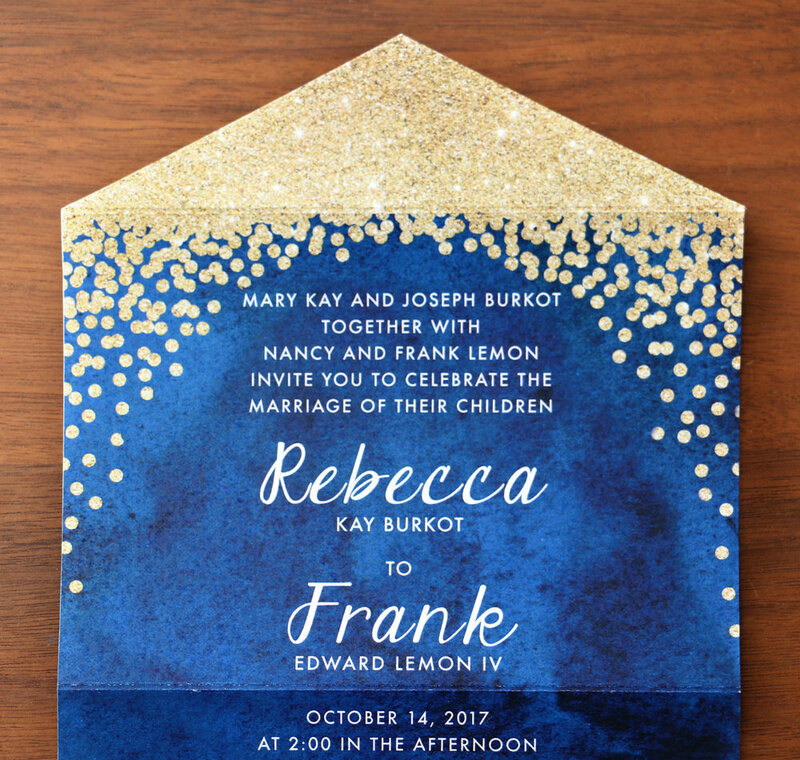 The invitation is printed on the front while the addresses are printed on the back. 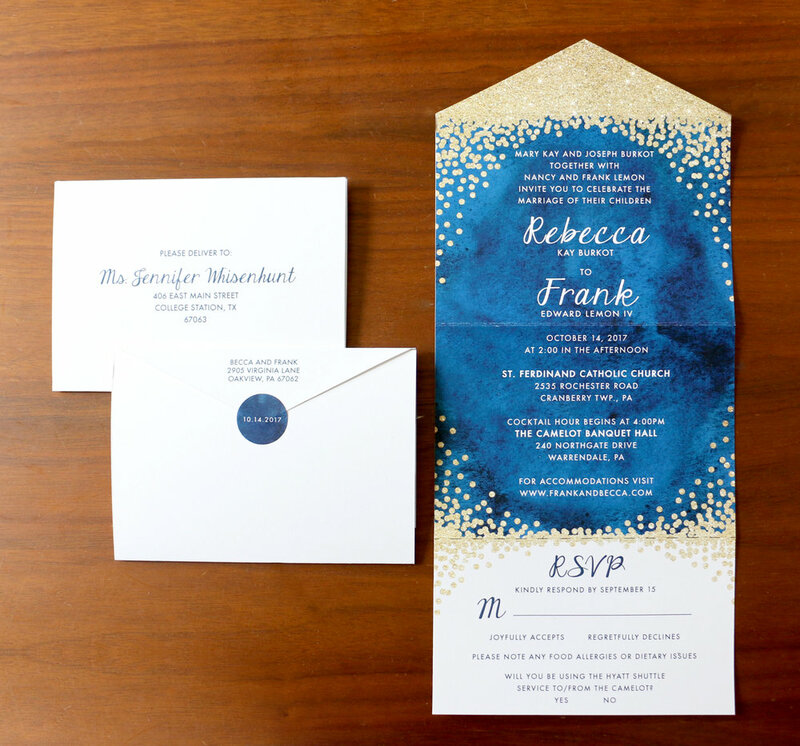 I loved this idea and immediately began searching online for design inspiration for this specific invitation layout. In the end, we created a tri-fold invitation that included a tear-away portion at the bottom that the guests could mail in for their RSVP. The set was sealed with a round sticker that we laser printed a custom design on. The invitation came together beautifully, just like the bride and groom! 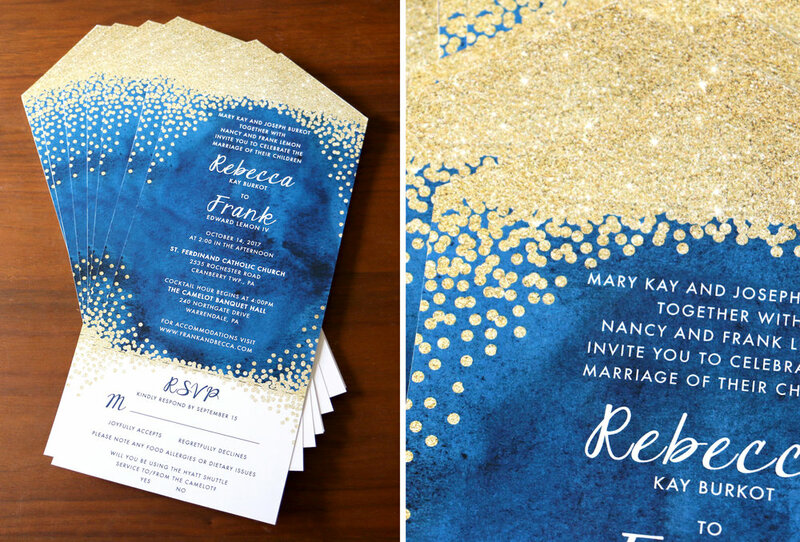 Check out the final invitation suite below! 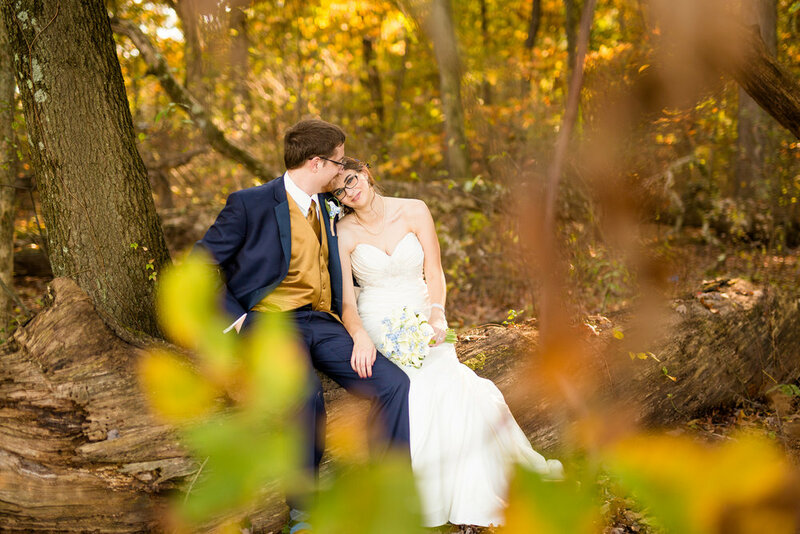 Becca and Frank's wedding photographer, the fabulous Jenna Hidinger Photography graciously shared her photos from the wedding with us. Check out her pictures below! A big thank you to Jenna for sharing your work with us. Your photos are gorgeous! See more of Jenna's amazing photos on her website. Congrats Becca and Frank! I had a blast working on this set for you. Thanks for letting me be part of your day! Need custom invitations for an upcoming wedding or celebration? Send us an email and to get started on your custom order!